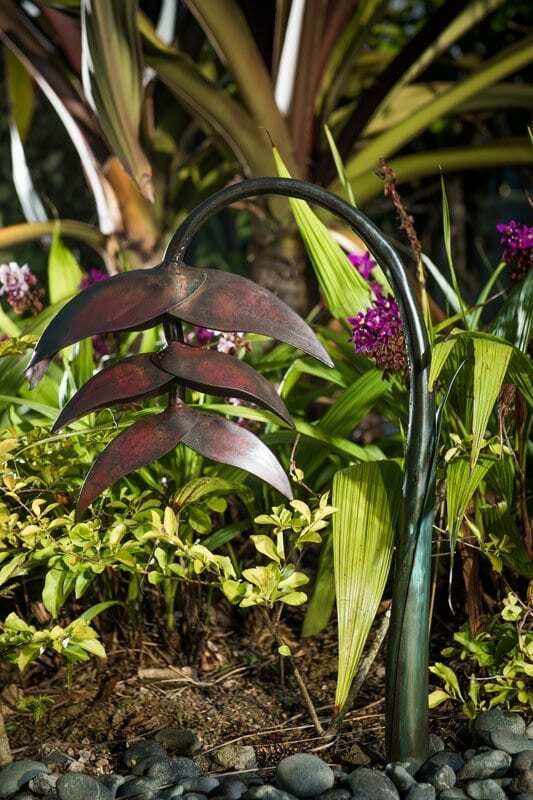 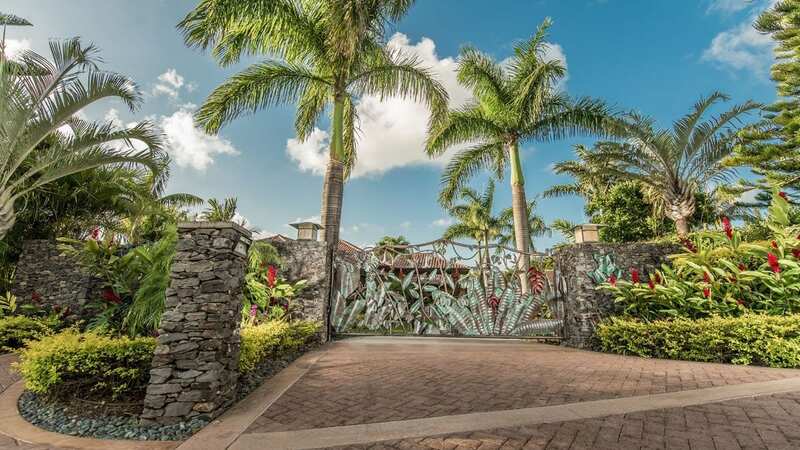 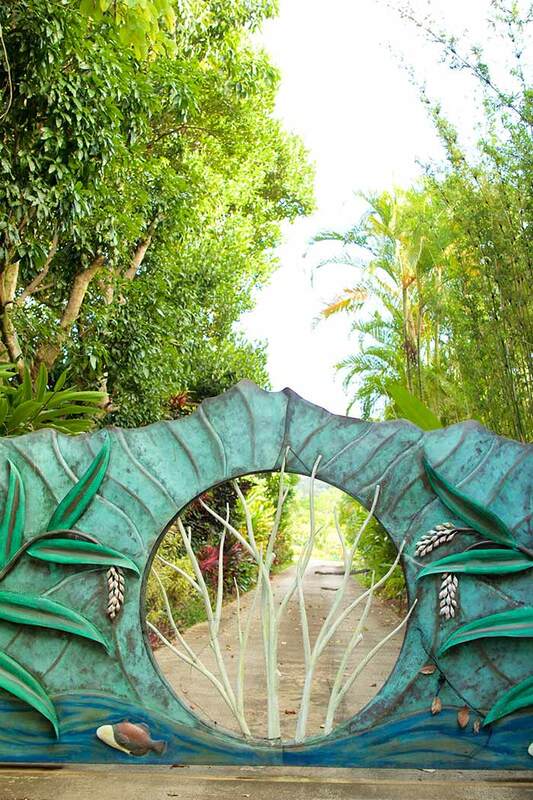 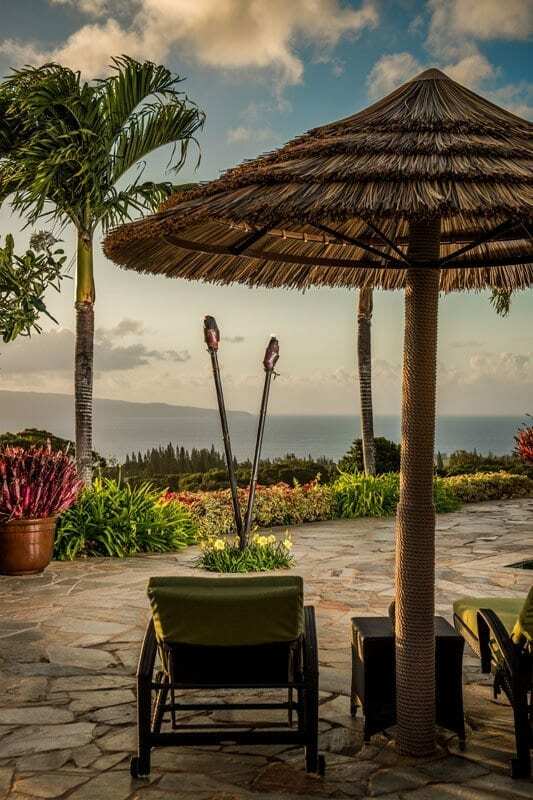 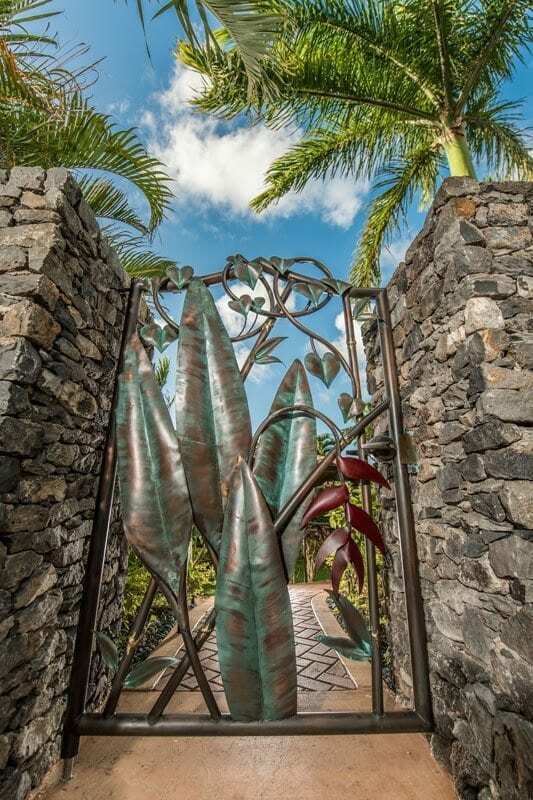 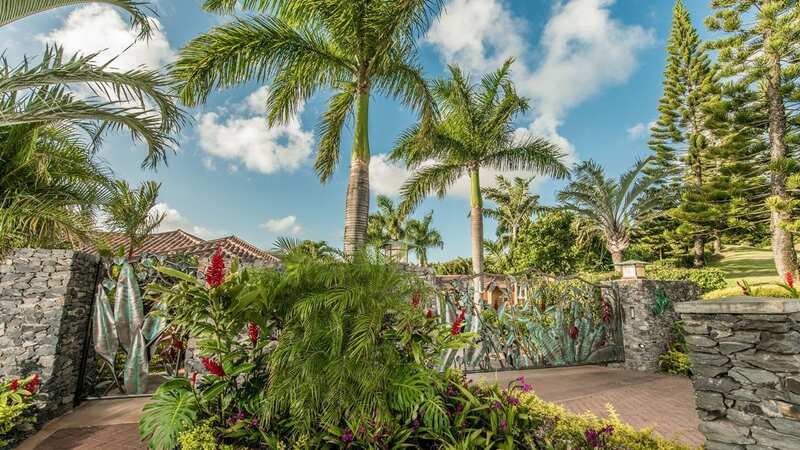 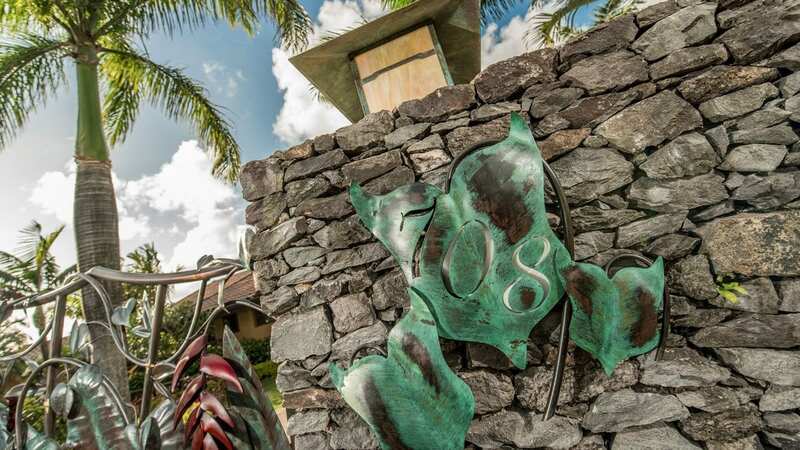 A grand entrance way with a 14’ single swinging tropical design and a matching pedestrian gate. 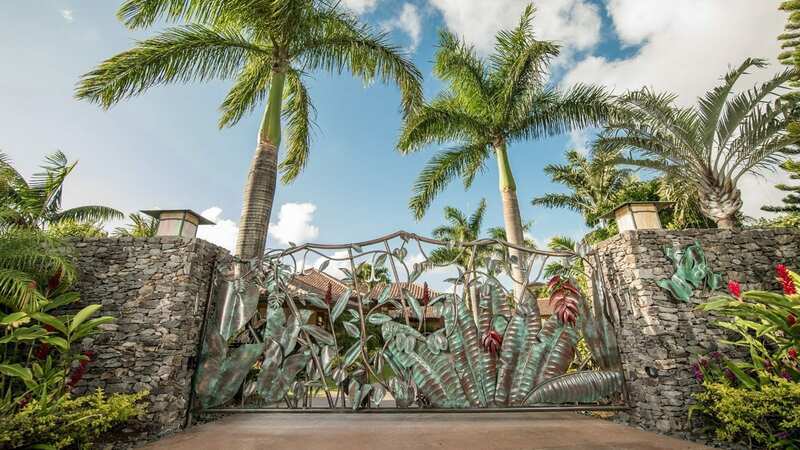 The contour of the top of the gate was designed to match the tile roof outline of the main house roofline. 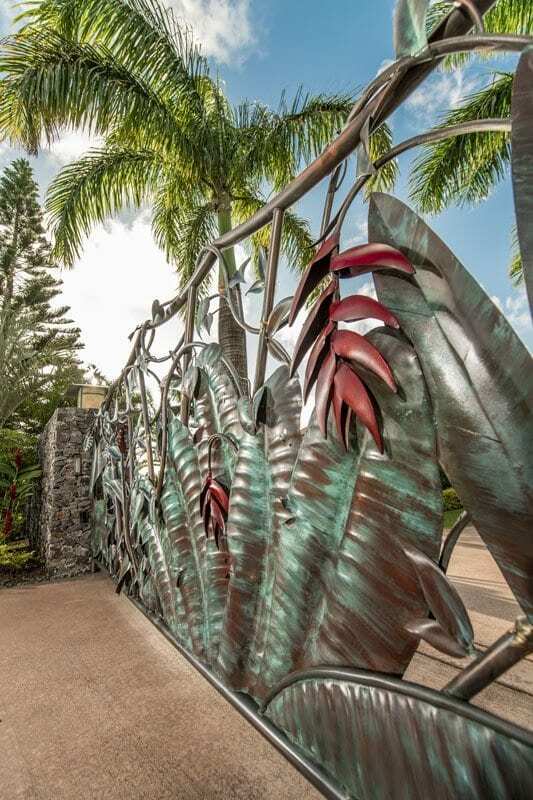 Fabricated from copper and brass with an internal stainless steel structure, the living patina finish will be enhanced for decades to come. 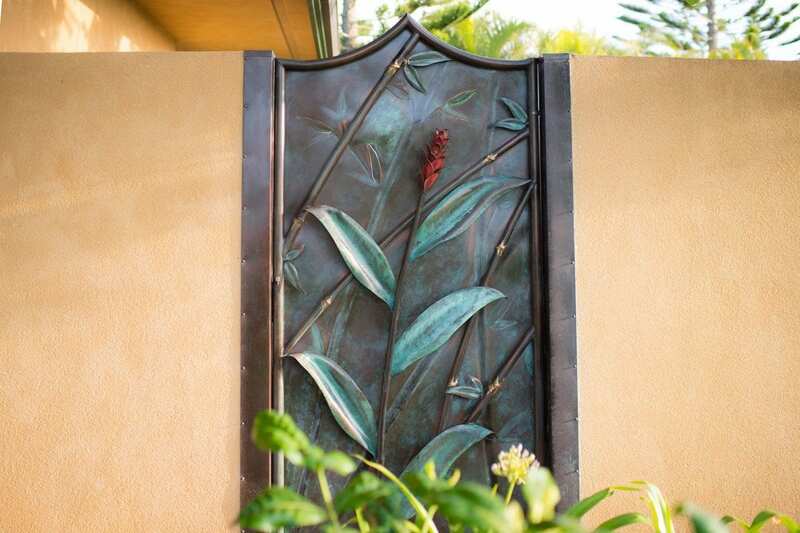 Designed to hide the pool equipment room and block the nose of the filters but stay consistent with our design board. 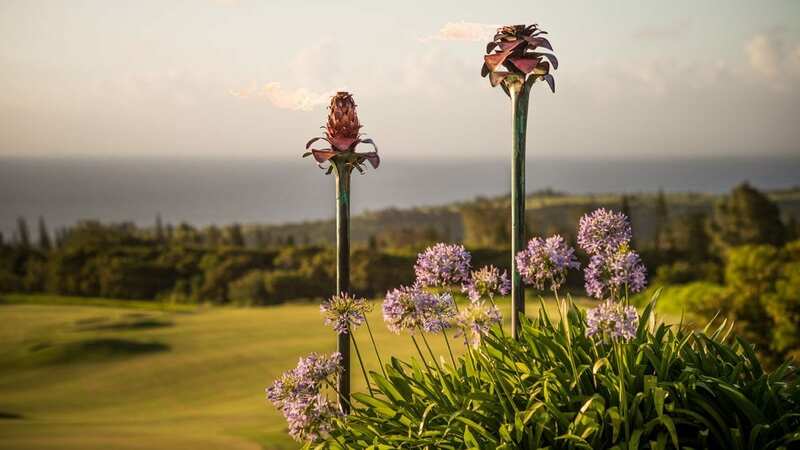 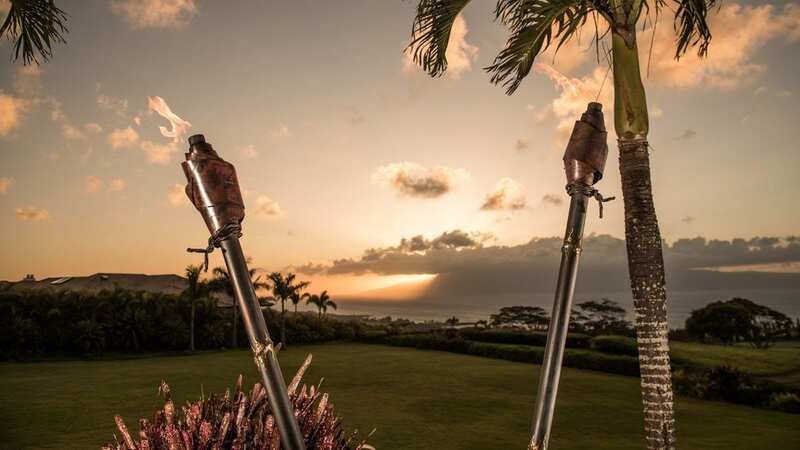 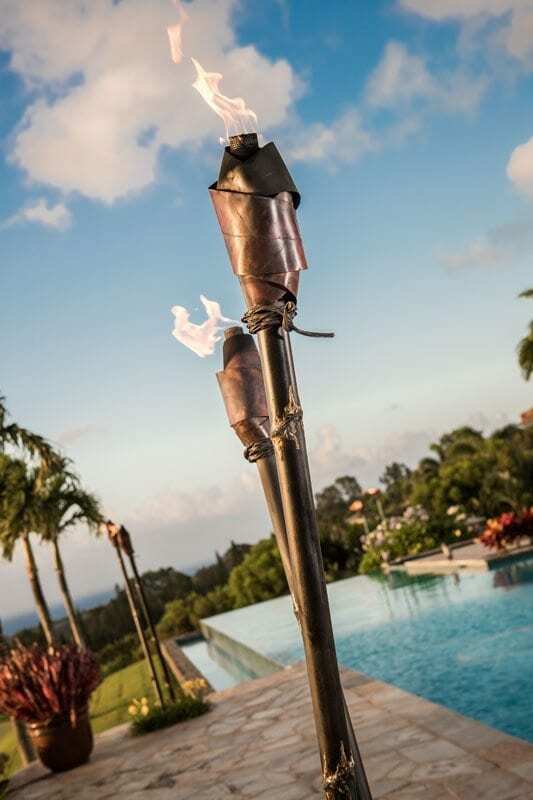 Sculptures by day and torches by night. 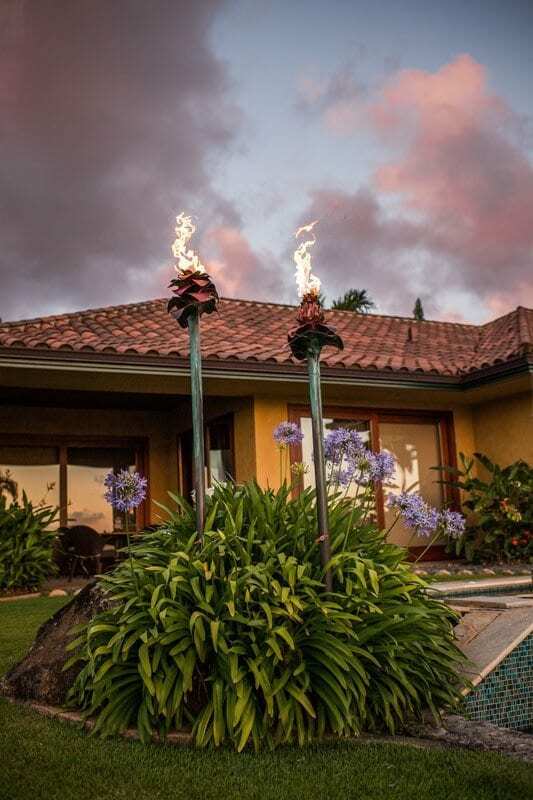 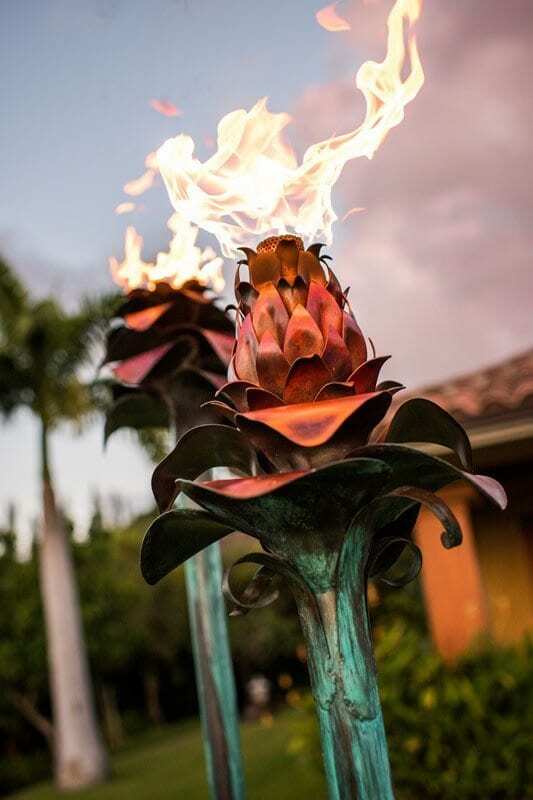 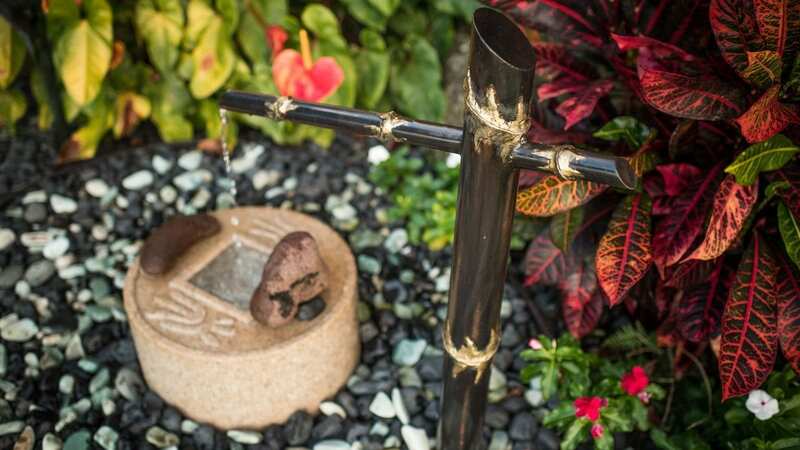 This pool setting is brought alive with the blooming torch gingers in the distance and the wrapped ti leaf torches adding a touch of elegance and atmosphere. 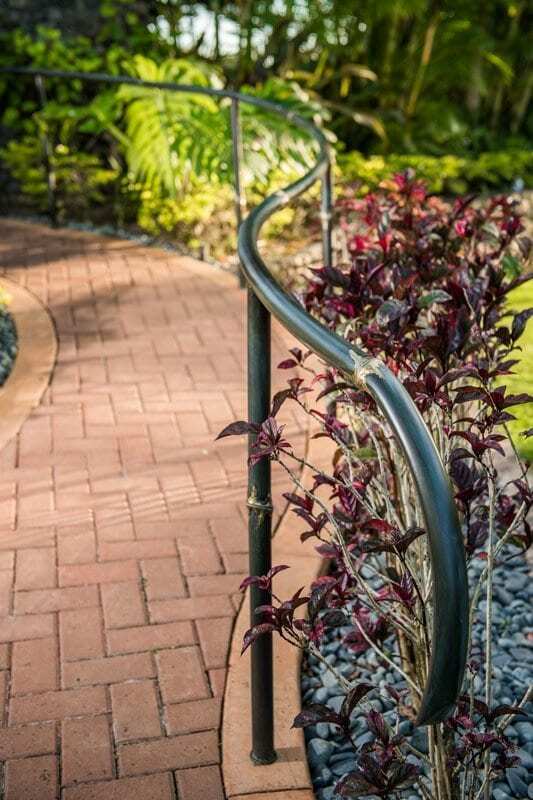 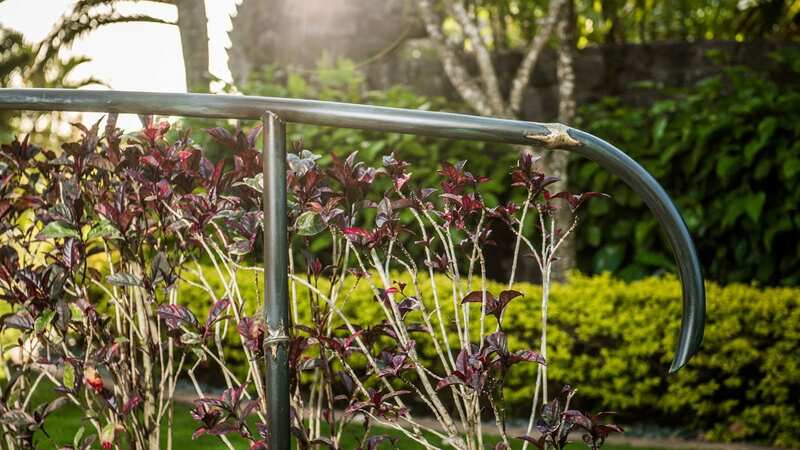 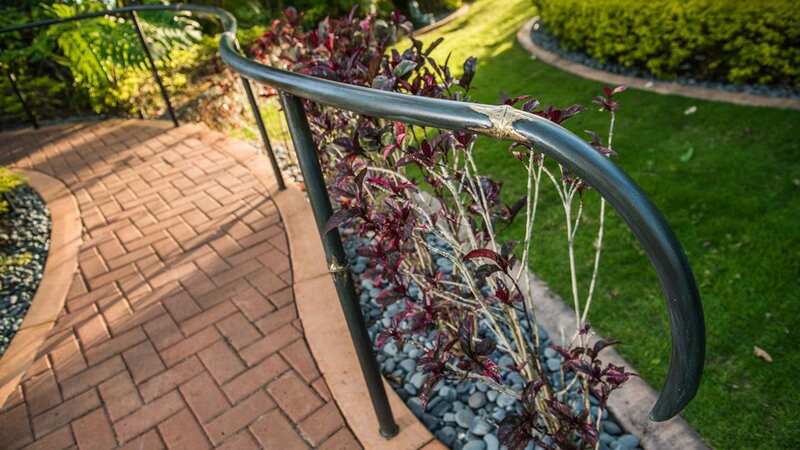 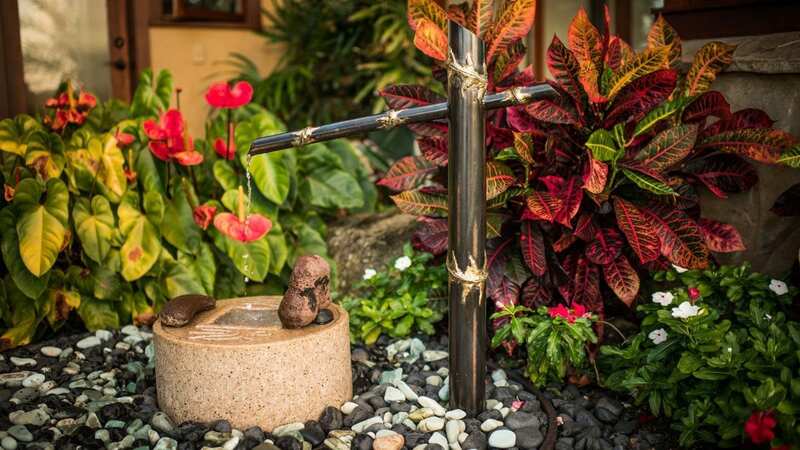 A sweeping copper bamboo hand railing gracely rolls with the landscape creating safety in a tasteful way.